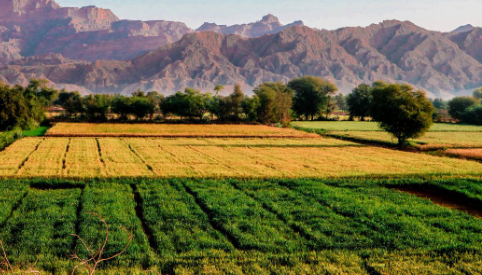 Developing agriculture sector in Balochistan! QUETTA: Provincial Minister for Agriculture Engr. Zmarak Khan Achakzai said today that govt. was making all-out efforts’ for the development of agriculture sector. their agricultural commodities and vegetables in the market committee. Apart from this, the prices of agricultural commodities will also drop in this area, he added. He applauded the efforts of agriculture department experts for the cultivation of indoor plants and said through water management the issue of water reduction can be resolved. He said that Balochistan’s landowners and farmer community are the one awfully affected by water crisis and drought. The provincial government would utilize all available resources to support them. He said the agriculture sector is the backbone of an economy and its development is essential for the prosperous and bright future of Pakistan. He said that the Agricultural Research process will be further enhanced in Afzaishi Bagh and model farm city so that farmers can increase their agricultural production by applying agronomic principles as imparted by department experts. He further said that provincial administration is fully cognizant of the accommodation problem the employees of the agriculture department facing in Sibi, and would soon work on it. Related Topics:Developing agriculture sector in Balochistan!